The ‘family provisions law’ is perhaps the most fiercely litigated area of inheritance law in Australia. The law that applies on inheritance is the law of the State. Although there are different statutes that apply for each State, they have very few differences among them. This paper will discuss the family provision rights of children who may be disinherited by their parents. Like most countries, Australia recognizes the freedom for anyone to draw up a Will setting out to whom his/her property should be distributed upon his/her death. Therefore, upon death, the property should be distributed by the “executor” appointed by the Will, in accordance with details and proportions stated therein. However, the Executor needs to abide by certain other laws and rules which may limit his right to carry out the intentions of the Will. 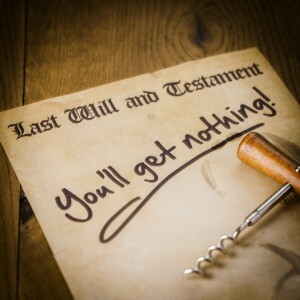 For instances, he would have to first pay off the taxes and debts of the deceased person and the Court could make a ruling to allow a person who is left out from the will or where that person’s portion of the distribution is insufficient to be compensated. The later part includes among other persons, the spouse, de facto partner, child, former spouse etc. This paper will spell out the legal position applicable to a disinherited child. Who is a child ? Although, this may sound simple or obvious, in most statutes the law defines ‘child’ to avoid confusion. The more common definition is a child born out of marriage between a natural mother and father. However, for the purposes of succession, children born outside marriage, or in a domestic relationship or adopted children are considered as children. The law in all states either specifically recognizes ‘step children’ or encompasses broader terms which are wide enough to include ‘step children’. The parent-child relationship may get complicated where the child is born out of a fertilization procedure or when the child has been given to another in adoption, or where the child never has actual contact with the parent from young age. I will discuss these peculiarities in relation to the right of claim in a later stage of this paper. Under most State Laws, children of the aforementioned definition has the right to make a claim within 12 months from the death of the parent. However, in the case of Victoria it is 6 months. Nevertheless, this time period may be extended on exceptional circumstances at the discretion of the Court. Under what circumstances can a child make a claim? As a general rule, any child who finds the distribution of property in accordance with the Will, would put him or her in a situation where it becomes difficult to maintain, educate him/her self or hinder his/her advancement in life, could make a claim under the relevant law of the State. A noteworthy famous case decided in High Court called, “Singer vs Burghouse” sets out what is famously referred to as the two stage process in determining the success of this claim. The first stage considers whether the provision made was “adequate” for the child’s proper maintenance of life. Adequacy is a subjective criteria and the Courts will look at several factors when determining whether the provision was in fact adequate. I have listed below the factors together with an explanation for the ease of reference. Eg:- Is the child capable of earning for himself, or is he handicapped due to an illness or because he is a minor etc. Eg:- (i) If the father is merely a donor of sperm and was never a part of the life of the child, it is unlikely the Courts will hold in favour of the child. (ii) If the natural father leaves the child at a very young age and does not have much relationship, the Courts are unlikely to make a declaration in favour of a child. (iii) If the child was given in adoption at a young age, and the biological mother did not have much contact with the child, the Courts are unlikely to make a determination in favour of the child against the estate of the biological mother. By providing a claim in favour of the child, which parties named in the Will, or parties who made similar claims would be affected, and to what extent? Even if the judge decides that the provision made by the last will is inadequate, the judge will have to also necessarily look at the second stage before making an award. However, needless to say, if the judge decides that the claim is adequate, then he need not go to the next stage and the claim of the child will fail. The second stage is only considered if the Court forms the opinion at stage one that the provision was inadequate. The second stage requires the Court to decide what provision will be made out of the deceased’s estate for the applicant. This stage involves the exercise of discretion by the Court. For example, as it has been decided in several cases, if there is insufficient assets after paying off creditors, the Court will refuse to make an order (at stage 2) notwithstanding that the applicant was found to have been left without adequate provision for proper maintenance (at stage 1). The aforementioned tests, have also been recognized in essence in the State Laws. This will depend on the discretion of the Court. In certain instances, even an unsuccessful applicant’s cost of litigation can be ordered to be paid of the estate. However, there are times the Courts may refuse to allow recovery of the litigation cost. Therefore, it is clear that although there is freedom to draw a Will, the Courts could make exceptions by safeguarding the rights of dependants including children provided they satisfy certain criteria. However, it is also clear that the Courts take careful consideration of a number of factors before changing the intentions of the deceased, and balances the interest of all claimants in the interest of justice. In the State of Victoria, section 91 (4) of the Administration and Probate Act 1958 elaborate and guides the Courts with greater detail on the grounds to follow, which will not be discussed in this Paper.